Ultimate Ears Roll – voted best portable wireless speaker under £100 by What HiFi in 2015, This speaker system offers a great sound and is easily portable, waterproof and features a great design with strong battery life. The controls are placed on the back and are simple to use, plus there is a 3.5mm audio jack input for hard wired connections so you can use with older audio equipment which is not Bluetooth enabled, plus a standard microUSB port for charging. 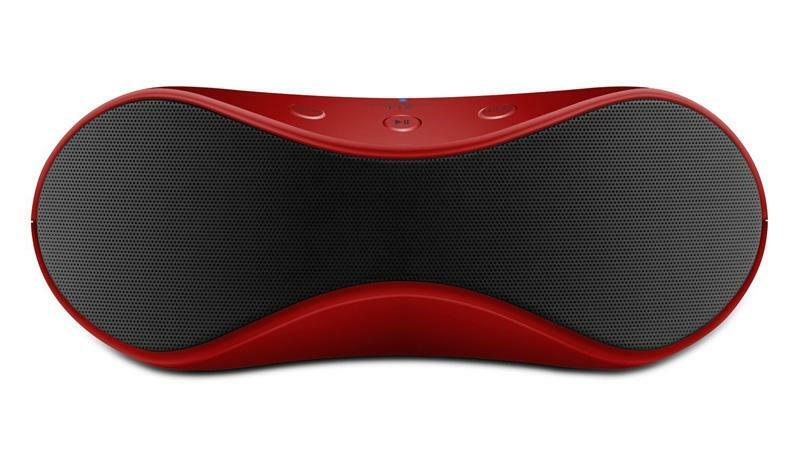 Etekcity Roverbeats T12 Wireless Mobile Speaker – a really stylish Bluetooth speaker for less than £30 that is portable enough to take on holiday and loud enough to fill a room with decent sound quality. It’s good value and offers a long battery life, there is no mic for taking handsfree calls over Bluetooth from your mobile. But for the price, a great little system. Audio Pro Addon T3 – this system has a slightly more expensive price tag of around £150, but is a classy wireless speaker that delivers the best sound possible for this price bracket. perhaps not quite good enough to replace your expensive hi-fi system, but the sound is expressive and dynamic, the unit is compact and easily portable, the build quality is faultless, and to get something better in this size you would really need to be spending double the cash to get a speaker system that sounds this good! KEF Muo – KEF brings a touch of luxury to the portable wireless speaker market with this fantastic Bluetooth speaker which offers great portable sound with a detailed and impressive musical performance. Featuring Bluetooth 4.0 with aptX which gives an effective range of up to 10 metres, or you can connect with a standard 3.5mm jaclk cable (not included). Bluesound Pulse Mini – the most expensive speaker system here, the Bluesound Pulse Mini retails for around £420, but manages to shoehorn truly impressive sound quality into this package which makes it really good value. This unit can handle everything audio from MP3’s and WMA’s to FLAC’s and WAV’s – plus offers support for all the most popular streaming services including Spotify, Rdio, Deezer, Tidal and Qobuz. If you can afford it, this system will not disappoint!